Featured image courtesy of NTU. Nanyang Technological University, Singapore (NTU Singapore) and Fraunhofer-Gesellschaft (Fraunhofer), a renowned German institution for applied research, are launching a research institute to develop digital technologies to help companies move into the digital era and remain competitive. These include virtual and augmented reality technologies that will, for example, allow engineers to run diagnostics on machinery using real-time infographics presented in 3D on hand-held tablets, or to review virtually created products using virtual reality glasses before starting on actual production. Located at NTU, the new Fraunhofer Singapore institute is also working with the BMW Future Mobility Lab at NTU to improve driving safety. Researchers will develop human-machine interfaces that detect drivers’ emotions, attention span, fatigue as well as facial expressions. The data can then be displayed on windscreens or visual cockpits of future cars, pre-alerting drivers of their condition to prevent any accidents from occurring. 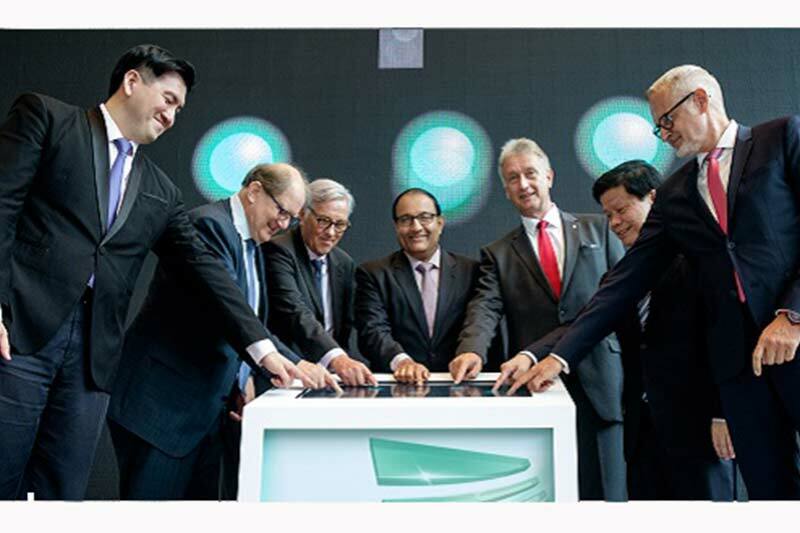 Mr. S Iswaran, Singapore’s Minister for Trade and Industry (Industry) launched the institute yesterday, which aims to advance a manufacturing paradigm known as Industry 4.0 where Singapore companies incorporate data analytics, industrial internet of things (IIoT), and automation into their manufacturing processes. NTU Professor Karl Wolfgang Mueller-Wittig, Director of Fraunhofer Singapore said. Fraunhofer Singapore builds on NTU’s two-decade long partnership with Germany’s Fraunhofer-Gesellschaft. It is Europe’s leading application-oriented research organisation, which has more than 69 research units throughout Germany. Around 30 full-time staff perform research, focusing on Industrie 4.0, personal health, smart cities, and visual computing. The new institute will continue to work on research projects undertaken by the Fraunhofer Interactive Digital Media (IDM) at NTU that was opened in 2010. These range from multi-touch screen panels to mobile applications with augmented reality technology. For example, one of the existing projects allows a user to point a mobile phone camera at a building to display its history and read up on its architecture. It is also developing solutions to benefit the public sector, in areas such as healthcare education. Fraunhofer is working with NTU’s Lee Kong Chian School of Medicine in the development of anatomy teaching. Together, they are exploring the development of new imaging modalities. Interactive learning models could aid students in grasping key anatomical concepts and has the potential to play an important role in medical education at NTU. The institute also aims to advance industrial training methods to make it easier to learn about complex machinery. For example, instead of a thick manual, engineers can learn how to maintain a jet engine on the job by using an app on their mobile phones, with a step-by-step guide in augmented reality. Apart from projects focusing on virtual reality and augmented reality, the centre will also work on other digital solutions such as cognitive human-computer interfaces and 3D modelling. It will be working with other companies such as Delta Electronics and LDR Ltd.